When you think about it, losing the ability to see the world around you can be scary. We completely rely on our vision for even the most basic tasks. As we age, it’s easy to get in the mindset that deteriorating health is just part of life. But it doesn’t have to be like that. Here’s three easy ways to fight poor vision and maintain healthy eyes no matter what age you are! These foods offer valuable nutrients that contribute to eye health. While most vegetables are high in vitamin A, citrus fruits contain a good amount of vitamin C. Nuts contribute essential fatty acids, which are also important for eye health. 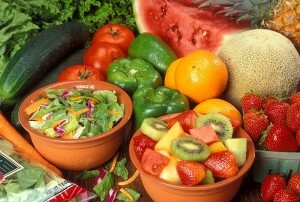 These foods can easily be incorporated into any diet. Cut up bell peppers, carrots, and brussel sprouts to add to a salad with dark green romaine. Grab a handful of nuts or seeds for a snack. If you have a caregiver, add these to your weekly grocery list to always have fresh food on hand. No one wants to swallow 53 pills every morning. However, vitamins and supplements can provide excellent sources of nutrients if your diet doesn’t regularly include nutritious foods. Here are two ways to keep the pill amount low and the nutrition high. Taking a multivitamin? Remember, not all vitamins are created equal. To keep it simple, Vitamin A through Vitamin E are excellent for preventing (slowing down) glaucoma and maintaining general eye health. Daily amounts vary for each individual, so if you are not sure of the recommended daily dose (according to FDA standards) is sufficient, check with a doctor. Fish oil is another supplement that’s excellent for eye health. The omega-3 fatty acids have been shown to decrease the risk of high eye pressure and glaucoma! Common over-the-counter eye drops can actually do more harm than good due to misuse and inherent properties of the ingredients. People who start using drops might notice immediate relief. 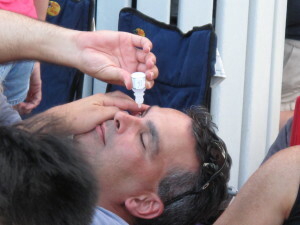 However, these eye drops are not made to treat medical conditions or long-term problems. When people self-treat, they risk leaving a major issue unchecked that might turn into a major problem later on. It is highly recommended that you see an opthamologist for any redness, loss of vision, eye pressure, and other symptoms that cause you to question your eye health. These tips aren’t too complicated on their own. You can remember to eat a handful of nuts every once in awhile or don’t use eye drops to frequently. But when put together, the growing task can become daunting. When you have a caregiver by your side to give you those little reminders and get the supplies you need, it makes it easier on you to stick to your goals and see results. You’ll stick to your goals better and your eyes will be very grateful. Are you ready to see the difference? Let’s help you get started today. +30% Revenue. -80% Scheduling Time.